The use of this site is governed by the policies, terms and conditions set forth below. Your use of the AllPcZone website indicates your acceptance of these terms and conditions. Your placement of an order indicates your acceptance of these terms and conditions. AllPcZone reserves the right to make changes to this site and these terms and conditions at any time. 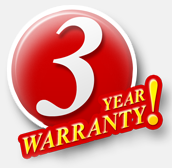 The "3 Year Limited Warranty" covers labor costs for 3 years and defective part replacement(s) for only 1 year. The " 4 Year Limited Warranty" covers labor costs for 4 years and defective part replacement(s) for only 2 years. The "5 Year Limited Warranty" covers labor costs for 5 years and defective part replacement(s) for only 3 years. Warranty period starts from the customer’s receipt of the system. Allpczone warrants to the original purchaser that any part of the hardware system, excluding software, documentation and similar items, will be free of defects in workmanship and materials for the period the warranty included with the purchase from the date of delivery to Customer. During the warranty period, Allpczone will repair or replace, at its sole discretion, the defective hardware system, for defects specified by you, free of charge for labor and/or parts depending on your warranty period. If the part is no longer available we will substitute for the part of equivalent value or offer you an upgrade option. Any additional purchases or upgrades will not extend this warranty. Excluded from this warranty is any damage caused during shipment (except the shipment to the original purchaser) and any damage caused by: impacts, fluids, fire, flood, wind, earthquake, lightning or similar disaster; unauthorized modifications, attachments or peripherals, improper use, environment, installation or electrical supply; improper maintenance; any other misuse, abuse, or mishandling. The above constitutes purchaser's exclusive remedies for breach of warranty. Allpczone shall, under no circumstances, be liable for any other damages, including but not limited to special, incidental, consequential and other similar claims whether based upon breach of contract, breach of warranty, negligence, or strict liability, or any other similar theories. Damages excluded include but are not limited to: loss of profit, loss of revenue, loss of data or software, loss of use of the hardware system, loss of use of related equipment, cost of substitute or replacement equipment, “down-time”, purchaser’s time, injury to property, and all claims of third parties. EXCEPT AS EXPRESSLY STATED HEREIN, ALLPCZONE MAKES NO REPRESENTATIONS OR WARRANTIES, EITHER EXPRESS OR IMPLIED, OF ANY KIND WITH RESPECT TO PRODUCTS SOLD BY ALLPCZONE. EXCEPT AS EXPRESSLY STATED HEREIN, ALLPCZONE EXPRESSLY DISCLAIMS ALL WARRANTIES, EXPRESS OR IMPLIED, OF ANY KIND WITH RESPECT TO PRODUCTS SOLD ON THIS SITE, INCLUDING BUT NOT LIMITED TO, ANY IMPLIED WARRANTY OF MERCHANTABILITY AND FITNESS FOR A PARTICULAR PURPOSE. USA & Canada: We accept all major credit cards, PayPal (address must be confirmed), checks, money orders and bank wires. International: We accept checks, money orders and bank wires. Please note if you are paying with a check or money order there will be 5-10 business day hold to clear the funds prior to shipment. To obtain Warranty Service please contact our Technical Support Department. Have your order# ready. Our technical support personal will diagnose the problem over the phone. If the problem can’t be solved over the phone we will decide on the best course of action to complete the fix as fast and painless as possible. If a return is authorized you will be supplied with an RMA (Return Merchandise Authorization) number for the return. Do not return any products without prior authorization. Products which are returned without prior authorization will be held for 20 days awaiting further instructions and then returned to the sender at senders’ expense, salvaged or disposed of. ADVANCED: In order to minimize downtime we had instituted a policy of advanced replacement. If a certain component needs to be replaced immediately (without waiting for us to receive your defective component) you can purchase a new equivalent component from us and it will be shipped out immediately, we will issue a full refund of the advanced replacement charge back into your account once we receive the defective components back into our facility. STANDARD: For standard replacements we will exchange the defective component(s) once it arrives back into our facility. We are extremely fast and responsive, 95% of components shipped back into our facility are exchanged within 24 hours from receipt, other 5% will not take more than 72 hours. Allpczone provides our customers with the flexibility of upgrading their system at any time of ownership. For upgrade requests please contact our technical support department. All upgrade parts must be purchased directly through Allpczone. Labor will be free of charge. You will be responsible for shipping costs back and forth for all upgrade services. All upgrade components will be warranted for 30 days from your receipt of them back, thereafter all warranty requests must be submitted to their respective manufacturers. Allpczone will cover shipping in both directions for 20 days from receipt of the system. After the 20 day period is over our Customers are responsible for the shipping charges to ship the componsent(s)/system back to our facility, Allpczone will be responsible for return shipping costs. Allpczone computer systems are backed by a 30 - Day Money Back Guarantee from the invoice date. All original boxes and Cds/DVDs/Manuals must be in their original shipping condition. Due to a high level of customization of Allpczone custom build systems, they can be returned for a refund with a 20% restocking fee within the first 30 day period. All cancelled orders are subject to a 20% restocking fee. A restocking fee will be charged on all custom build systems without exceptions. Overclocking service, cooling options and advanced thermal paste are non-refundable. Software (windows & office) is non-refundable. Items such as: Monitors, Printers, Scanners, Keyboards, Mice, Digital Cameras, Speakers must be serviced through their respected manufacturers. Once opened they can't be returned for a refund. Software that has been opened or registered is non-returnable. Customers outside of United States have the same warranty coverage as our USA customers with one exception. International customers are responsible for shipping costs of the defective parts/systems in both directions and are responsible for all duties/import taxes set by their respective governments. Please note once the product crosses USA border Allpczone will no longer be responsible for delay/loss of the merchandise as it is impossible for us to control International carriers. International customers agree that they fully understand and agree to this disclosure. 9. WARRANTY ON PARTS (THIS DISCLAIMER ONLY APPLIES FOR CUSTOMERS THAT PURCHASE PARTS FROM ALLPCZONE). 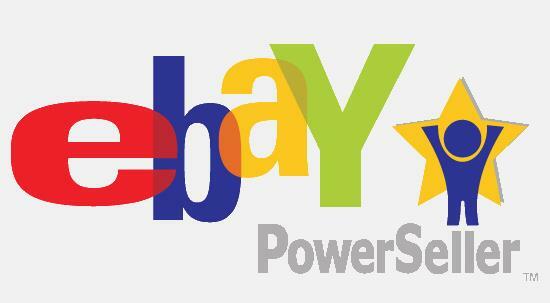 Allpczone will exchange or refund all part orders within 30 days of purchase. After 30 days all parts must be serviced though their respective manufacturers.